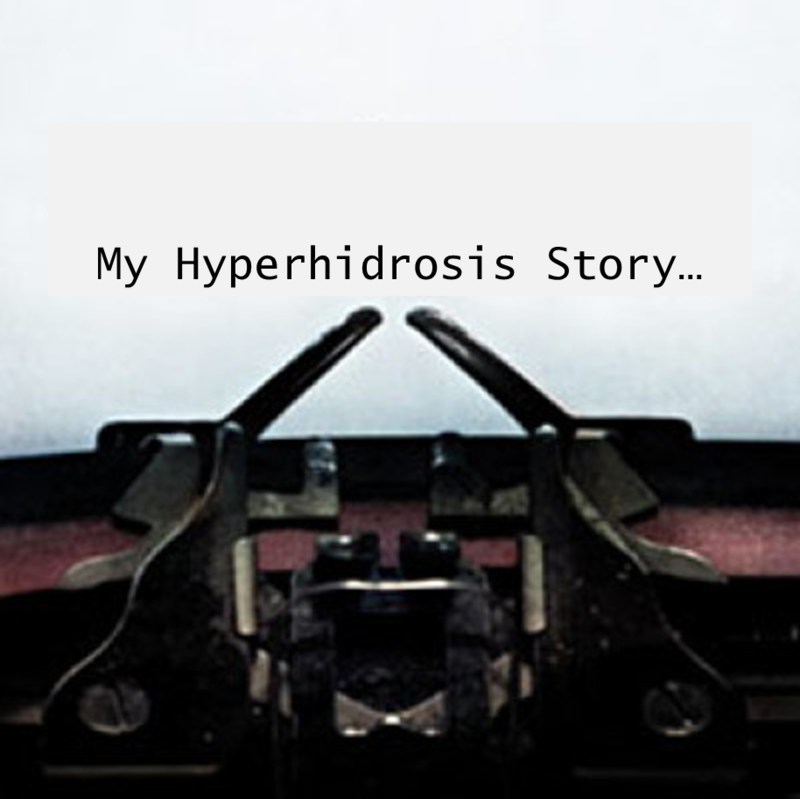 Note: Below is the story generously shared by Sandra (name changed on request) regarding her Hyperhidrosis condition and the treatment she took. Her contact details were very helpfully shared with us by MiraDry. We believe that the below-mentioned story is accurate, and is not influenced by MiraDry in any way. However, in interest of full disclosure, we would like the readers to know the origin of this post and to interpret this accordingly. A BIG “Thank You!” to Sandra for coming forward to sharing this with us! 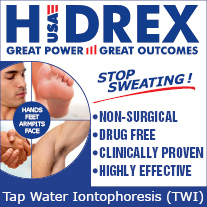 I started sweating excessively from my underarms when I was in middle school. I would sweat right through my clothes and it would be very noticeable. I was embarassed and would layer clothes and wear sweaters over everything to hid it. I tried DrySol and other prescription strength deodorants, but nothing worked. The DrySol ruined clothes and made my underarms itch. 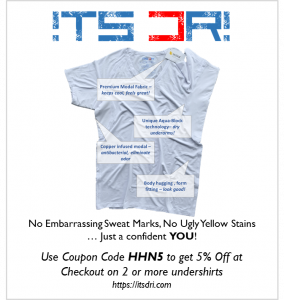 I just dealt with it as best I could, and avoided wearing anything that would show my sweat marks. I would have to wear heavy sweaters and lots of black. When I was a teacher, it was a challenge. I wasn't hot, but would just get a little nervous getting up in front of my kids and teaching lessons. I would have to be careful how I gestured to the board or screen so as not to show my sweat marks. Again, I wore sweaters over everything and layered my clothes. 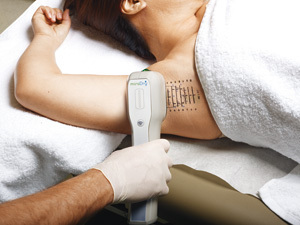 When I was working part time at Dr Karamanoukian's, I heard about the miraDry procedure. He got the machine and I was eager to try it. The procedure itself was very easy. Just some pinches as he numbed my underarms and then I didn't feel a thing. It took about 45 mins per underarm and just felt like a vacuum sucking up parts of my skin. I iced my underarms and took advil every 4-6 hours afterwards and that helped the swelling go down immensely. It felt like I had tennis balls under my arms and I was a little swollen, but other than that, I immediately stopped sweating. I continuously iced my underarms for the next few days. I had the procedure on a Friday and by Monday was fine to go back to work. The first time I had the procedure it was done on the lowest setting and about a year afterwards, I noticed I was sweating again, so we repeated the procedure on a higher setting. I knew what to expect and was prepared to ice my underarms for the next few days. It was very easy to have done again. Miramar Labs even flew me out to NYC for a press conference so I could discuss my experiences, what I had tried and what the procedure was like. I was happy to share my experiences, as I know how difficult it was to live with this condition. It is very embarassing and I no longer had to feel that way. I could also wear whatever kind of clothes I wanted to with no fear of sweat marks. Also, while I worked at Dr Karamanoukian's office, I was able to talk to his patients so they could have a first hand account of the procedure and what it was like. It is definitely a procedure that I would recommend. 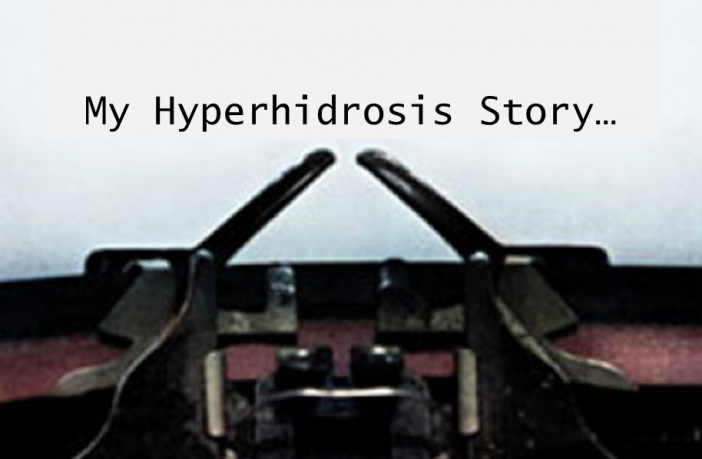 About My miraDry Procedure miraDry: Solution for Underarm Sweating Lauren’s Story: MiraDry worked for her Hyperhidrosis!